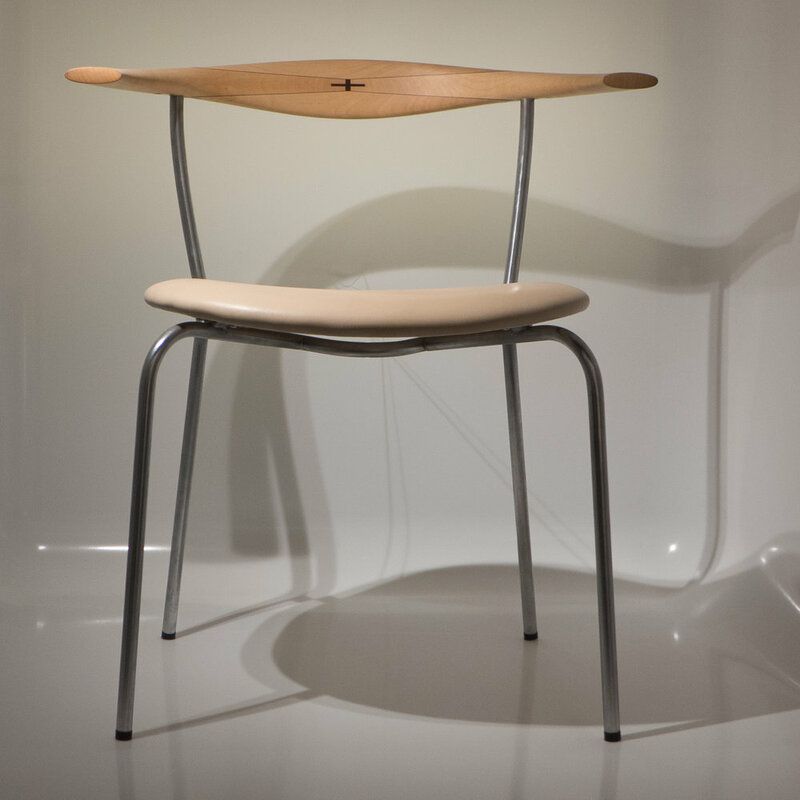 Wegner first designed a steel framed chair with a version of the shaped back of the Cow Horn Chair in 1955 and that was shown in an exhibition for the new Bellahøjhusene housing development in Copenhagen and then shown at H55 in Helsingborg in Sweden in the same year. 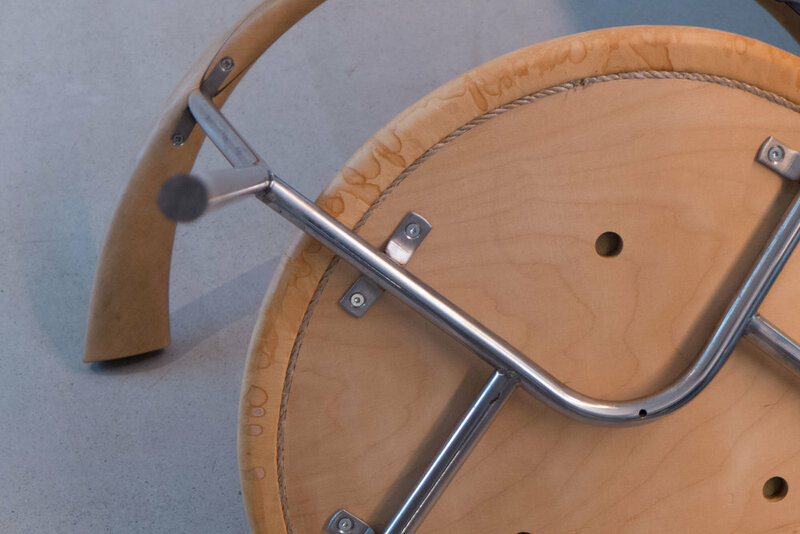 The design - with three prototypes showing different ways to join the wood for the back rest - were made with Fritz Hansen but were not put into production. This version, The Little Steel Chair or Minimal Chair , PP 701, was designed for Wegner's own house in Gentofte in 1965 and the shaped back is a smaller version of the Bull Horn Chair - the chair with longer arm rests than the Cow Horn. 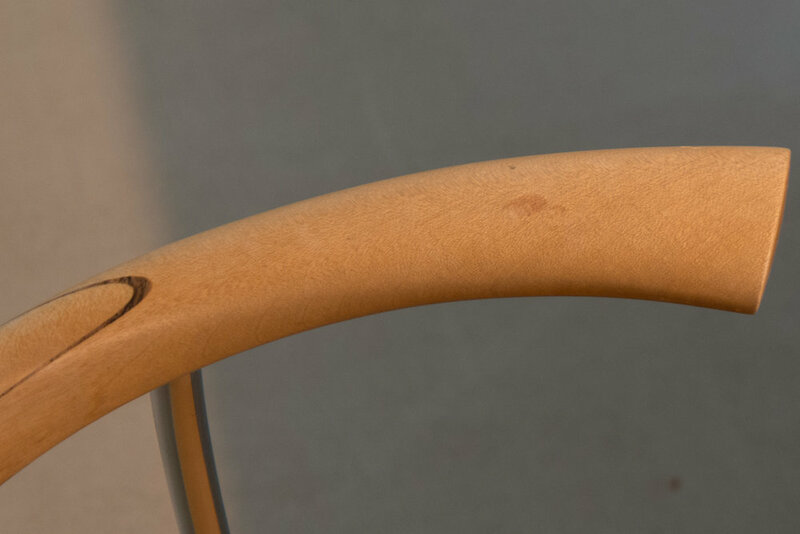 The curved back rest with arm rests are formed from four pieces of wood cut from planks 45mm thick and the right and left arm rest and the lower and upper sections are cut from the same plank and cut in line. As the grain runs in different directions and cannot match then a contrasting veneer is used between each joint and for the distinctive cross at the centre of the back. 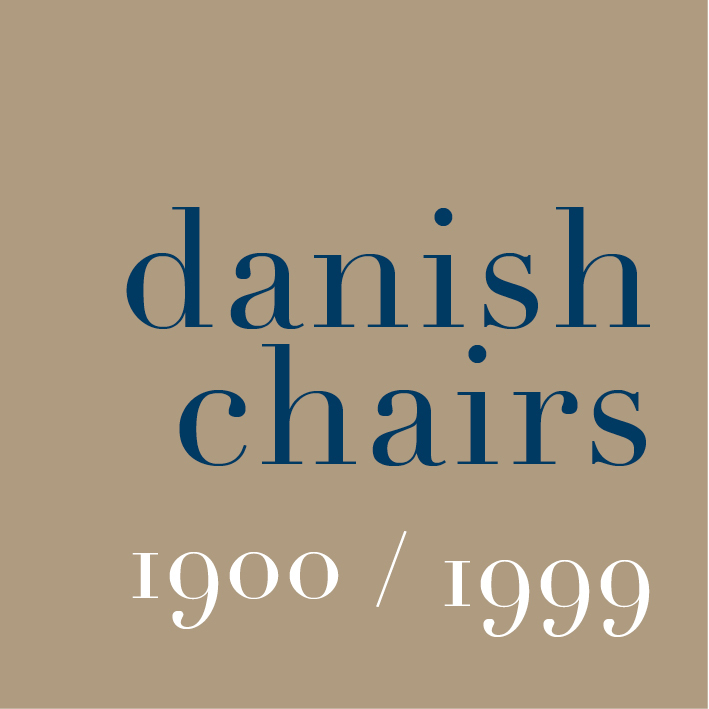 The chair was shown by Johannes Hansen at the Cabinetmakers' Exhibition in 1965.